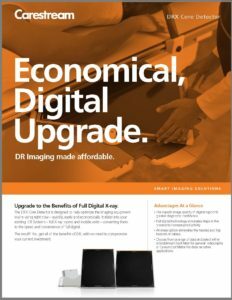 Upgrade to the Benefits of Full Digital X-ray. 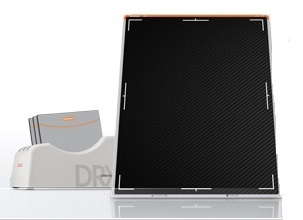 The DRX Core Detector is designed to help optimize the imaging equipment you’re using right now-quickly, easily and economically. It slides into your existing CR systems-full X-ray rooms and mobile units-converting them to the speed and convenience of full digital. The Result? You get all of the benefits of DR, with no need to compromise your current investment. The Carestream DRX Core 4343 is a wireless 17×17 cassette-sized detector system available in both GadOx or Cesium.